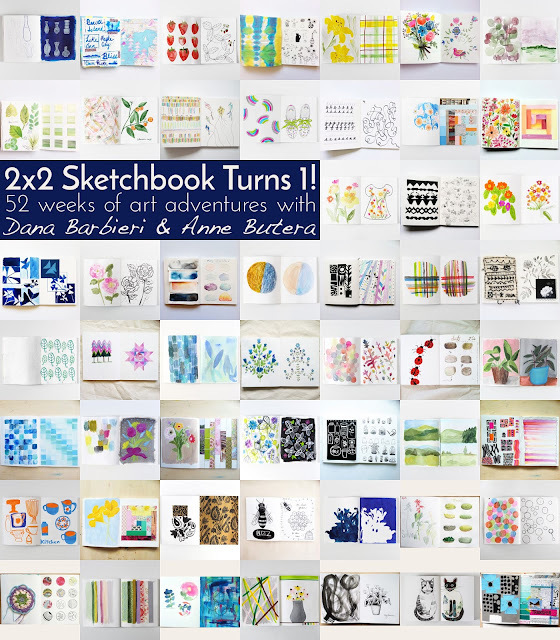 Dana and I have been sharing pages from our collaborative sketchbooks for one year now. It's amazing to look back and see all that we've done so far. To make our celebration even better, it's coinciding with the release of the new issue of Uppercase Magazine (it arrived in my mailbox on Wednesday!) in which our project is featured! Looking for your own copy? To find a retailer near you check the Uppercase stockist list on their website or you can purchase a single issue or subscribe to the magazine on their site, too. Getting our sketchbook featured in a magazine was one of my secret dreams from the beginning and I'm so excited to have it become a reality. Uppercase is a beautiful magazine and I'm honored to be included. (but week 38 and week 45 also call to me). In truth, there's something about each page that I love or that inspires or delights. Even the pages that I'm not as fond of, or that I'm critical of for one reason or another have their merits. They represent experiments. They're playful or bold or they've valuable to me because they inspired other ideas or projects. Even if I don't see my efforts as "successful" they're successful for the simple fact that they exist. Dana and I thought it would be fun to share our thoughts about our personal sketchbook practices today, too. 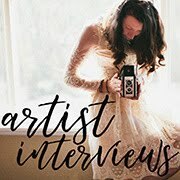 I'm sharing my answers here on my blog and Dana will share hers on her blog, so make sure to pop over to learn more about her sketchbook practice. 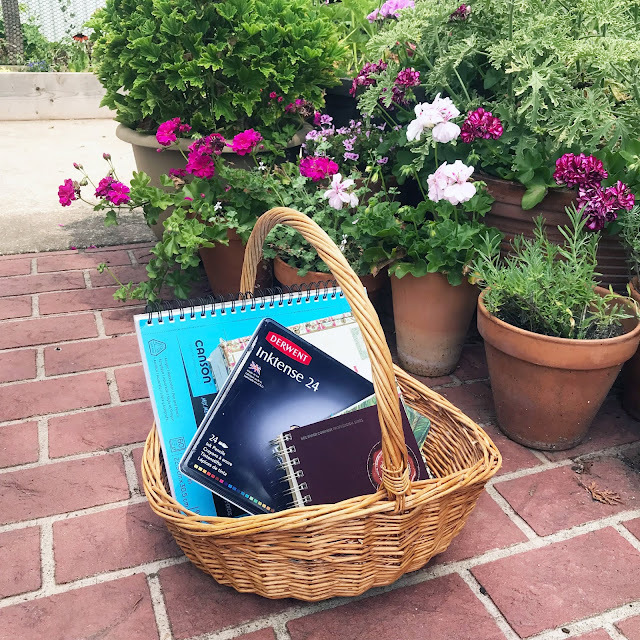 In addition to the 2x2 Sketchbook, what other sketchbook or sketchbooks do you keep? I have a few other sketchbooks that I work in and they all have slightly different purposes. My "main" sketchbook is a larger format, spiral bound book where I work through ideas and plans for other projects. Occasionally I will also sketch in it for fun, but mostly I use it when I'm planning something else. If I'm doing a lino block I'll work on sketches for the design there and print my first test runs in it, too. If I have ideas for motifs for a fabric design I'll use this sketchbook for that as well. I often tape or glue loose pages into this book, in part because the paper in this sketchbook isn't very high quality (I chose quantity -- of pages -- over quality with this one), but also sometimes I need a different type of paper for what I'm doing (watercolor paper or tracing paper). 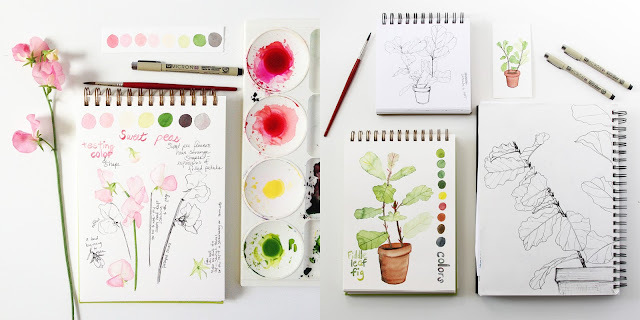 Sometimes I tape reference photos on the pages as well, very helpful during winter if I want to paint a plant that I can't run out to the garden to see. I also have a watercolor sketchbook that I use to test colors, both swatches of pure color and mixes of colors as a reference for when I'm mixing colors for a painting. 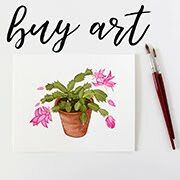 I use it to do quick watercolor test sketches, too, to make sure my color mixes work for my intended project and to work out loose practice, especially when I'm painting flowers that I've never painted before. Finally, I have a sketchbook that I try to use daily. After having finished the last one I haven't started a new one yet, but instead have been doing my sketches in my main book. 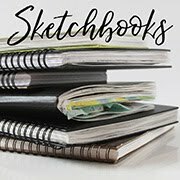 I'm just not sure what I want to do next with my daily sketchbook, what size I want to use and whether I want a theme or a restriction in terms of media. 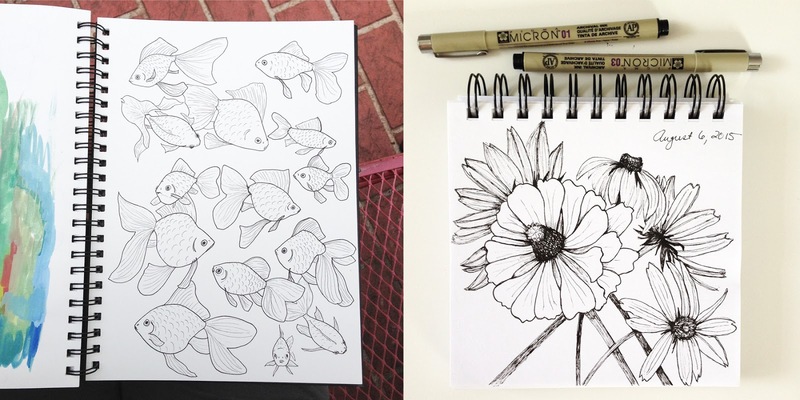 My first daily sketchbook had small pages and I mostly did botanical sketches with micron pens. Near the end I was running out of steam and feeling constrained by it, which might be part of my reason for hesitating this time. I do have an idea, but I'm a little intimidated to get started with it and have been dragging my feet. 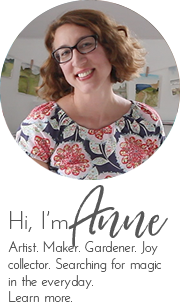 (I'm embarrassed to admit it, actually, and maybe this will help motivate me to just get started and stop making excuses!). How has your sketchbook practice changed over the past year? This past year has seen an amazing change in my sketchbook practice. When Dana first posed the idea of us creating a collaborative sketchbook I was more than a bit scared of the idea. Sketchbooks weren't part of my regular art practice. I worked in them occasionally, but probably not even once a week. Looking back at my older sketchbooks I see that I used to do a lot of writing in them. Notes, ideas, criticisms, questions. I was most comfortable expressing myself with the written word and my sketchbooks reflected that. Now I'll sometimes include written notes, but mostly just in testing phases for other projects or as part of the overall design of the page. Last year I began a daily sketchbook, probably the biggest change in my way of working. In the beginning of that project I shared my pages daily on Instagram, but over time I began to see the downfalls of that. I'm still feeling my way. It can be so hard to find balance -- what to share, what not to share. Before beginning my collaboration with Dana I don't think I would have had enough confidence to begin a daily sketchbook or to jump into the daily painting challenge I embraced last September, either. 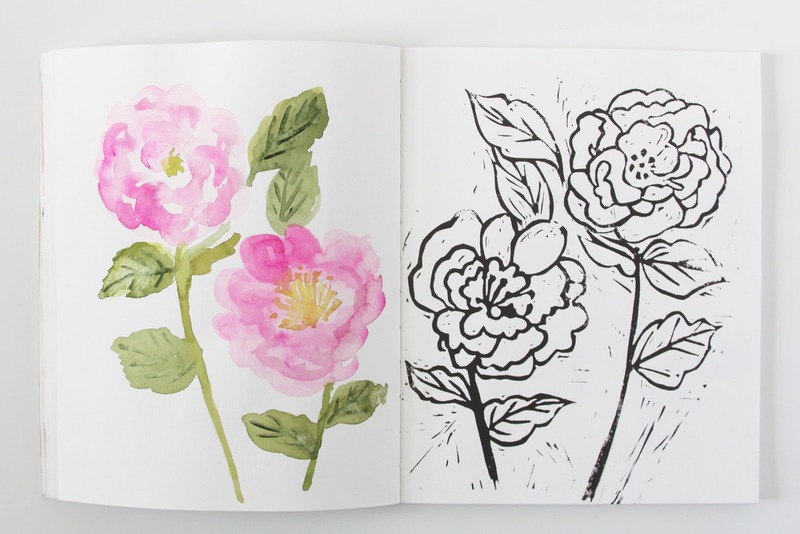 Once I began to see that sketchbooks aren't so scary, it opened so many possibilities for me. That first step is hard, but after that it becomes easier. I'm so grateful to Dana for encouraging me, challenging me and inspiring me. She's helped me to overcome my fears and to fully embrace sketchbooks (something that I had wanted to be able to do for years). Sketchbooks are now a big part of my art practice. I find myself turning to them often, enjoying working in them and treasuring their pages, even when those pages are messy. I think that's probably a big stumbling block for a lot of people. 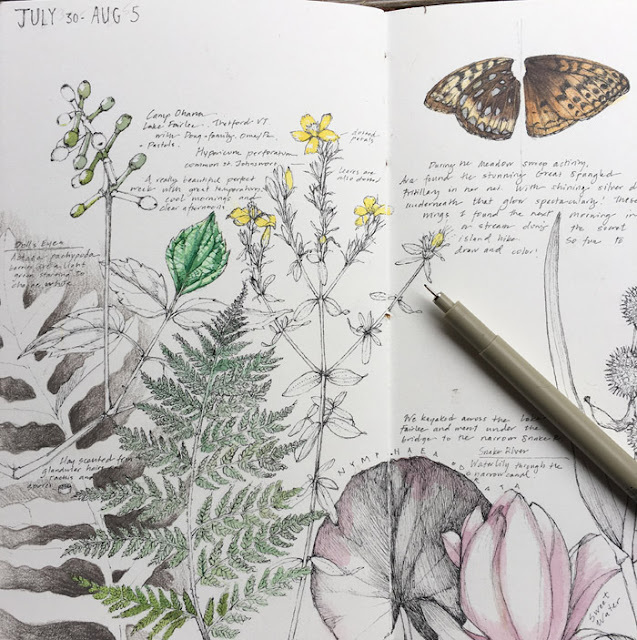 When we see the beautiful, polished pages of other artists' sketchbooks on Pinterest, Instagram or other social media it's hard to be brave enough to create pages that aren't so beautiful or polished. I know I struggle with that myself. It's easy to feel like a failure when I compare my sketchbook pages to those perfect-looking pages. I have to remind myself that those pages are carefully curated and styled. In truth, the only failure is not working in my sketchbook at all. Doing something creative every day, no matter what it is, is always good for our spirits. 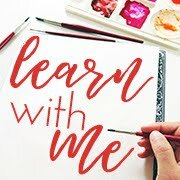 If you feel pulled to sketch, then sketch. Otherwise, follow your passion. So glad you've been along on my journey. 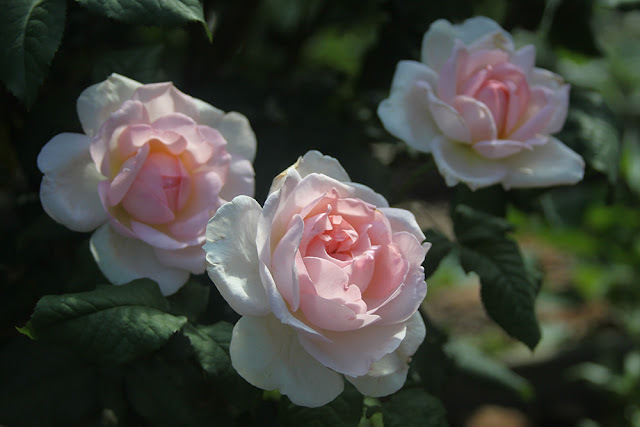 Wishing you a glorious weekend, too! What a lovely recognition of yours and Dana's talent and friendship! Congratulations. Thanks so much, Sharon! I can hardly believe it's real!